So how old are you REALLY, Rei?? Good news! You’re in luck. As it turns out, Ms. Takeuchi put a lot of thought into the characters’ birthdays when she was creating the Sailor Moon universe, but unfortunately had little to no actual consideration for what impact this might have on the grades the girls should end up in at school. Today we’re going to take a look at the ages of the Sailor Soldiers upon their first appearance and see whether they actually work out in the real world, and if we can try to make some sense of all this chaos! If all this impending math makes your head spin, don’t worry — I’ll keep this relatively painless! As for why Ms. Takeuchi made such a big deal about birthdays, that’s something that I covered previously regarding why ChibiUsa and Usagi have the same birthday, but a brief refresher never hurt anyone. This same connection plays out for all the other Sailor Soldiers, which neatly explains away how they ended up with their respective birthdays. So now that we know what their birthdays are and why Ms. Takeuchi chose them, it’s time to take a look at the second part of our question: what impact does this have on their grade in school? Read also: What Kind of Sailor Moon Events Will Be at Universal Studios Japan? Quite simply put: Usagi absolutely cannot be in her second year of junior high school (~eighth grade) and still be 14 years old… at least not when the story takes place. You heard right, Usagi. You’re too old! Except that’s where things start getting ugly. The second year of junior high school, where the story of Sailor Moon begins, covers the ages of 13 (start) and 14 (end). Since nearly every single manga act and anime episode kindly reminds us that Usagi is in her second year of junior high school and 14 years old, that means that the only option would be for the story takes place after Usagi’s birthday (meaning that the story starts from July 1, at the earliest). Unfortunately, the manga makes it pretty clear that isn’t possible, since Naru’s cousin’s wedding is set to be in June.5 Usagi also makes mention of celebrating Mamoru’s birthday in the Black Moon arc, so unless the Dark Kingdom arc took less than 3-4 weeks, this theory is definitely a bust. Note, though, that the anime seems to take place over a much longer time scale, so there may still be some hope in the anime at least. With Usagi out of the way, what about the other Sailor Soldiers? Rei (April 17) = totally okay for her school year and 14! Minako (October 22) = same as Ami, but probably fine! Whether Haruka and Michiru work is a bit of a harder question to answer. We know that they’re supposed to be 16 years old and in the first year of high school in the Infinity arc. However, since Haruka (January 27) and Michiru (March 6) were born in the last quarter of the school year, I’d say that their ages are also probably incorrect. Read also: Where Is the Supporting Cast of the Live Action Sailor Moon Today? Since the first year of high school covers ages 15 (start) to 16 (finish), that would mean that the Infinity arc starts mere weeks before the next school year begins, as it necessarily needs to be after Michiru’s birthday. 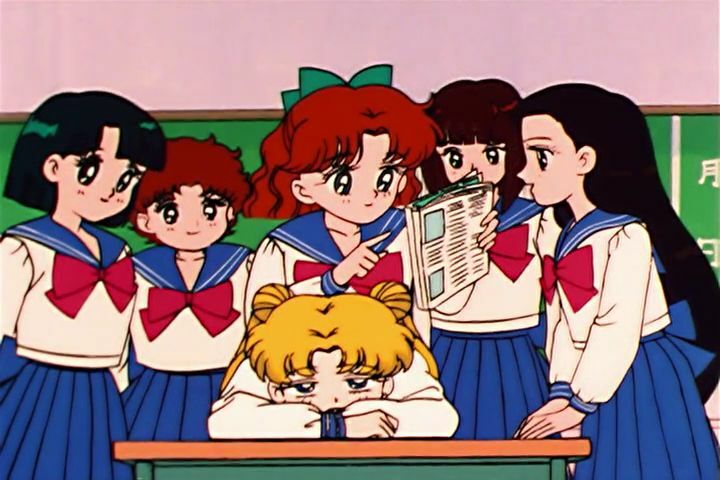 So to make an incredibly long story short, nearly all of the ages provided for the Sailor Soldiers don’t work for their year in school, unless you really restrict when the story takes place. Though I understand the importance of Usagi being in the eighth grade, I’m not really sure what was going on with the assigned ages for the Sailor Soldiers, since this complicates a lot of the details of the story and the timeline. Was it just an innocent oversight, or did she dislike the idea of some characters being older/younger than others? In terms of trying to make sense of it all, there is one small tweak that we could make to the “facts” in the series to help things make a bit more sense: it’s entirely possible that Usagi, being the mature lady she thinks of herself as, is rounding up her age in her introductory speech, seeing herself as “practically 14” in her own mind. It’s a bit of a reach, sure, but if she’s 13 and just counting up to her next birthday, that would explain a lot! That’s at least my take on the situation — now it’s your turn to let me know how you think this all works out! How would you address the issue of Usagi’s age? And what about how Haruka and Michiru fit in to all this? Let me know down below! 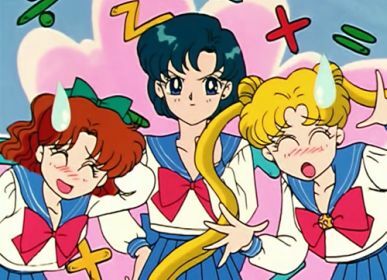 ← Why Were There Two Sailor Chibi Moons in the SeraMyu Musicals? An alternative for Usagi could be that in grade school she was suspended a few times for violently defending someone from bullies, resulting in her being suspended (she certainly has that hidden temper). Would also explain why her mother is so nagging, as Usagi should be a year higher, and if the friend is Naru would explain her devotion. As for Haruka… She’s obviously lying about her age to stay in the same class as Michiru: she drives a car as a professional pilot, and in Japan driving a car when younger than 18 is illegal. As it would be easier for her to get away with falsifying her age to a school administration (especially in the anime, where it’s staffed by ditzy mad scientists) than to the police, and with her reaction to Makoto pointing out she was indeed too young to drive in the anime, the obvious explanation is that. I’ve seen a lot of people cite the “Haruka drives a car, so she must be lying about her age” as proof, but honestly, that makes no sense. You see, everyone at the school knows that Haruka is a professional race car driver. So in order for her to be lying about being 16 at school, she’d also have to be lying as a race car driver. I’m pretty sure the racing association isn’t dumb enough to just take an unlicensed, illegal driver at her word at let her drive. So that means they would have had to confirm her age. If they confirmed her age, then they wouldn’t be reporting her as a 16 year old driver (which, I believe, is mentioned in the manga). Thus her “lying” to the school wouldn’t be possible, since she’s a public figure who is admittedly over the age of 18. I think that Haruka being impossibly young for a race car driver is the whole point. She and Michiru are just this level of cool; they (according to the manga) live in ridiculously expensive apartments, and somehow have their own helicopters which they casually use to move around Tokyo. This isn’t realistic in the slightest, but it creates a huge contrast with the rest of the senshi, who, while not necessarily lacking money, are absolutely nowhere near being able to afford this kind of life. As Guardians, Uranus and Neptune have a job that is also on a whole different level (protecting the Solar system from invaders vs. being royal bodyguards), so their civil identities are probably meant to reflect this. I think you’re totally right. Haruka and Michiru are basically the epitome of the “fantasy lifestyle.” They’re super rich, glamorous, powerful, famous… they can do no wrong. So even if that made some parts of their backgrounds absurd (like Haruka being a race car driver or Michiru being a world-renowned violinist and painter), it just adds to the image of “these two women are untouchable.” This contrasts with the image of the Inner Senshi being “just your average girls” — even if they’re not remotely near average. Then why isn’t she in jail? Considering she’s not stupid, it’s more likely that she lied about her age to the school administration and the journalists/paparazzi (or they took their conclusions from her grade) than she did so to Tokyo Metropolis’ public safety commission and the police (and the sports commission as an accessory), as the latter are far more likely to find out (as in they’d find out at the first routine check) and the consequences would be far worse. Legally speaking, the only alternative is that Haruka got held back once or twice for some reason (likely disciplinary, as bad grades would preclude her a school like Infinity Academy) and the journalists mistakenly reported her age as 16. Mugen Gakuen only accepts exceptional students and is an incredibly elite school. The idea that she could have just “slipped one past” the school when she is a well-known public figure who appears in newspapers and on TV doesn’t really work. What’s more, this theory further breaks down once we get into the Stars arc of the manga. Now that Haruka no longer needs to “infiltrate” Mugen Gakuen, there is exactly zero reason why she’d continue to pretend to be a kid and attend Juuban High School along with the rest of the cast. I guess personally, I find the “most probable” of the theories is that Naoko simply wrote herself into a corner and made Haruka a race car driver, which was impossible at her age. I think it makes a lot less sense that Haruka was secretly 18, yet the news reported her as 16, she told people she was 16, and the most elite and strict school in the country never put two-and-two together. To race cars professionally in Australia you can start as young as 12, before you can legally drive a car on the road. Obviously that might not translate into Japan and their laws, but it’s not impossible for her to be 16 and a professional race car driver. This is true for the “Sailor V” manga as well. In her intro, Minako says that she is 13 and in the first year of middle school, but some chapters VERY clearly take place in summer, while her birthday is in October. More importantly, though: it’s not just the girls themselves who “round up” the numbers. 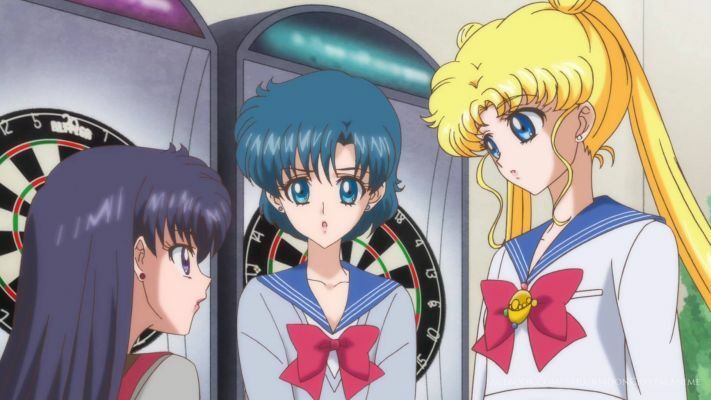 In the manga (Act 4 IIRC) there’s a scene where Luna views data on Usagi, Ami and Rei, and all three are listed as being 14. Rei, sure. Usagi, still not quite, since it’s Act 5 that mentions June weddings. Ami, not even close. Then there’s something I only vaguely recall, in regards to the anime. We know how Usagi claims to be 14 from the start, but only turns 15 in episode 101, right? And how she is supposedly 16 by the end of Stars? Well, there’s apparently an episode in SuperS (132?) where she claims to be 15. Still. Assuming she does round up her age, this suggests that SuperS *somehow* takes place in the same year as S, meaning the writers *deliberately* did not place the girls in high school despite them spending the previous season studying for exams. And you can’t claim they “repeated a year” again like with R, because there’s *no* indication of any time reset in this case. @[email protected];;;;; X_X Then Stars takes place the next year, which is why they enter high school here and not in Dream/SuperS like in the manga. I swear, the series would have been a whole lot easier to deal with if characters either 1) didn’t have birthdays, or 2) didn’t have specific ages (just what year they are in school). =p But noooooooo, the whole thing has to be some sort of big nightmare because of this birthday insanity. And let’s not even get into the fact that the series often shows different seasons in the manga (either by referencing the season directly, or by showing the summer/winter school uniforms) even though it’s supposed to take place in a short period of time. As for the whole “reset” in the Sailor Moon R anime, there is some evidence for it, though it comes from one obscure interview done in an anime magazine. I covered that briefly before: How Were the Sailor Soldiers Reborn After the Fight With Queen Beryl? I can understand why this happened with SMR/Black Moon arc to begin with; they obviously didn’t know ahead of time that the series was going to continue past the first story. The anime in particular is often synced to the real-world calendar (it shows specific dates and seasons frequently enough to make this conclusion), so that was the only way to have the characters remain in the same grade. Here’s a possible explanation for this. Simply put, the creators/producers weren’t comfortable with the idea of the main cast, you know, growing up (and potentially outgrowing the target audience). Having them explicitly age would therefore be something they would try to avoid, so just stating that the girls are all 14 and in the 8th grade was a simple solution to the problem. This worked for two arcs (sorta), but keeping them in the same grade after that would be really stretching the definition of a school year, so Infinity/S finally moved the time forward. I believe this may have even been done for symbolic reasons, as the increased pressure of having to study for exams parallels the increased enemy strength quite nicely. And so you have the manga reference Rei’s birthday and the anime reference Usagi’s birthday, both turning 15. Then things got weird. By all logic, Usagi & Co. should have finally entered high school after S, and that’s exactly what happens in the manga, but the anime randomly decided to give them another year out of nowhere, without having them age (since Usagi is still 15). And I don’t believe one can simply make a “mistake” on that scale. Which means they really, really didn’t want the main cast to be in high school. SuperS being more, ah, aimed towards younger audience just serves as a confirmation of this, though I admit I’ve never seen an official explanation of *this* one continuity hiccup. As for Stars… See, there’s a bit of evidence that this arc was meant to be something of an “upgrade” or a “soft reboot” of the series, and I’m guessing *this* is why the anime finally allowed Usagi to become a 16-year-old high school student. If you’ve ever seen the original manga chapter prints in Nakayoshi… well, they all use the same basic “Sailor Moon” logo, as seen in other manga edition, *except* for the Stars arc chapters, which use the new Sailor Stars logo seen in the anime version. Yet, the characters are in the same grade they were in Dream, which allowed the anime to sync with the manga again. Well, if Usagi is 14 she should be in third year of Junior High. If she’s in the second year, she should be 13 at the beginning of the story. The same issue goes for Haruka and Michiru. More realistically, they should be 15 years old at the beginning of the Infinity Arc! Is it unbelievable that Usagi would have been held back? In all seriousness though she was known for being lousy at school. Japan, at least until the high school level, doesn’t really have a system for holding kids back… no matter what you do. I suppose it could happen, but the best information I could find was a ruling by a Kobe court in the early 90s that states that absent any extreme situations, children should always move up with their class. And I mean “even kids that never attended a single day of class for the whole school year” are even moved along with the same class. So probably unlikely that Usagi was held back. There’s an easy solution for it: Kazoedoshi. She would be 14 according to that system. Furthermore, I had it a few times that people, though not young ones, were kind of “about”ish regarding their age. I.e. giving the age they will turn this year rather than the “old” age before the birthday. “I’m 47 this year.” When asking, they had their birthday in e.g. November. As for people rounding up on their own, I definitely know a lot of people who do that, or even about their own children. So I don’t think it’s entirely out of the realm of possibility that Usagi just rounded up at the beginning of the series. That may be in official situations but try to look at e.g. 7-5-3 or the calculation of yakudoshi, kazoedoshi is still prevalent there. Occasionally people even told me that my age is actually a year older than my official date. Her choosing to round up, however, is reasonable. How does Mamoru work with his age? He’s high school in the manga, university in the anime, who knows in musicals, transitions to university in PGSM. He can drive in both the anime and PGSM. PGSM was really good about dates. It starts in October and ends the following summer. Starts in grade 8, ends in grade 9. Birthdays are still screwy but at least the general timeline works. 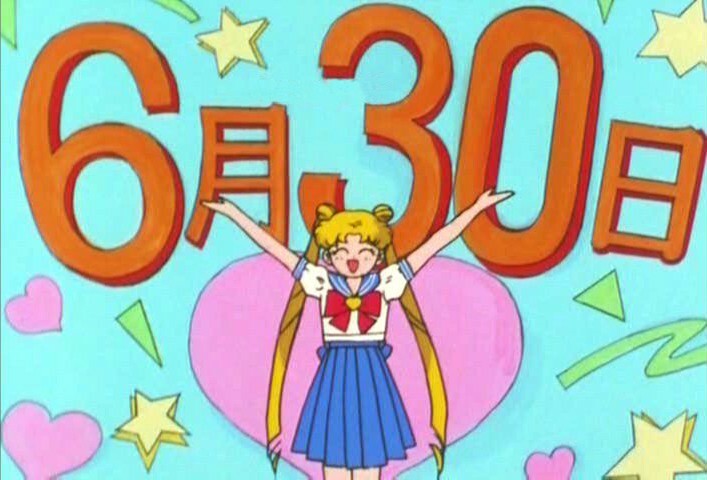 I’d guess that the series ends before June 30 because I’d expect Usagi’s birthday to have been a big deal since at that point PGSM was character torture and how could they pass up Mamoru not being able to celebrate Usagi’s birthday with her. The whole Mamoru going from high school to university is a weird choice between the manga and the anime, and one we may never quite know the answer to. I personally think it was just a way to get out of having to explain why he isn’t busy at high school and can always be around to hassle Usagi. This whole debacle is really unfortunate to me. Why spend so much time on the birthdays and thinking of what grade they should be but force the same-age thing? Is it not more important to be the same grade as your crime-fighting peers than the same exact age (because of shared experiences etc.)?? I think Moonchild3000’s assumptions about the anime staff not wanting them to age (and then aging in Stars) sound very plausible! As for the seasonal changes/inconsistencies, at least in the anime, if you look at when the Cherry blossoms are out etc., it mirrors the seasons that the episodes were shown during. It’s probably a common technique in animated series to help the viewer feel in tune with the characters and plot. So, sadly this is *almost* a false lead when it comes to trying to figure out how old they really are/should be at any given time. But what other evidence do we have, right? So we’re stuck with it. As much as I prefer to look for in-universe explanations for mysteries and inconsistencies, this is sadly just one of those topics that does better with real-world explanations only ;_;. I agree pretty much on all counts here. As much as I’d love to provide an in-universe explanation for this, the only thing that really makes sense is that it’s just Naoko / the animation staff tying each of the episodes into the current, real-world seasons. Even if that means that things happen in a really weird, non-sensical order. Or, you know, stories that probably shouldn’t have taken all that long instead appear to take several months or even a whole year. SuperS is a good example of that in the anime. I feel like the story itself would only take place over a few months at most, and yet judging by the seasons and other events we see, it clearly takes about a year. So I guess we’re just stuck ignoring some of those inconsistencies. @Tuxedo: You may use this and the following paragraph(s) as captions if you like. Ahh, that brings back the memories. Remember when people used to actually write MSTs of fanfics? Actually, I already have a complete set of lyrics for the entire Intro at hand. Somebody should really record these and put them together with matching scene snippets from the Anime (like Mina’s frantic Handwaving). At the end, imagine the Sparkling Sound of Moon’s Rod/Sceptre/Whatever in place of the ‘Guitar Twang’. I have been trying to track this as well, but unlike your sailor moon timeline article, I was looking at the actual acts of the story. The school uniform system gives some help here. The school year starts April 2nd, while wearing the long selves of the uniform. Then on June 1st, they change to short sleeves until October 1st, where it’s back to long sleeves. So I tracked that. Usagi, Ami and Rei are all met while wearing long sleeves the Makoto and Mamoru are met while in short sleeves. Then Minako is met when back in Long Sleeves, and then ChibiUsa is met again in short sleeves. At the end of Dark Kingdom Ikoko says “you’ll be in 9th grade soon” so we know that it’s still before April 2 of the “next” year, even though the girls have gone through three seasons of uniform change. Which gives us a strong indicator that even in the manga time got reset after Metalia was beat. Which actually makes sense for why (a) ChibiUsa showed up when she did (after Sailor Moon ‘Existed’) and (b) why she didn’t know that Sailor Moon was her mother, if the original timeline ChibiUsa comes from has time resent then Sailor Moon is no longer public knowledge, only Sailor V is “known” which is why only King Endymion would have told her stories of Sailor Moon, no one outside the Senshi and him remember. This time reset is also backed up by tracking when we know they cram for High School exams, and that that is usually November-February in 9th grade. Based on the Season Changes from their uniform, Dark Kingdom having a reset is the only solution. But yes, she is saying she’s 14 like two months too soon at least. Because she becomes Sailor Moon, meets Sailor Mercury and Sailor Mars all before the uniform change and her birthday is after the uniform change. Unless she got held back a year some time before that and is actually a calendar year older than all the rest of the Main Senshi (Saturn is the only one otherwise born in a different year). The only other timeline issue I have is when Mamoru goes to America. She’s in Long sleeves, well into 10th or already in 11th grade, but Harvard’s standard school year usually starts in August or September, so she shouldn’t be in Long Sleeves yet, unless Mamrou plans to start in a Winter Term and go through Summer Term. Possible, but not standard. Following timelines in manga based on seasonal changes is incredibly difficult, because there’s a tendency for the author to want to match what’s happening in the manga with what’s going on in the real world (e.g., having the sakura blossoms out, snow falling, etc.) even in stories that should have taken a very short period of time. In all actuality, the first arc of Sailor Moon really should have only taken a few months at most, but if you follow the seasonal changes (such as their clothing like you’ve pointed out here, leaves, etc.) then it implies that it takes a full year. There’s probably no “right” answer in this case, unfortunately. When the manga is still being actively published in monthly magazines it all makes sense to the fans reading along, but 25 years later when we’re reading all of the acts together as one compiled volume, it definitely makes things a lot more confusing!